* Add the correct display in IE. * `article` contexts in Chrome, Firefox, and Safari. // the `inherit` value on things like `<th>` elements. 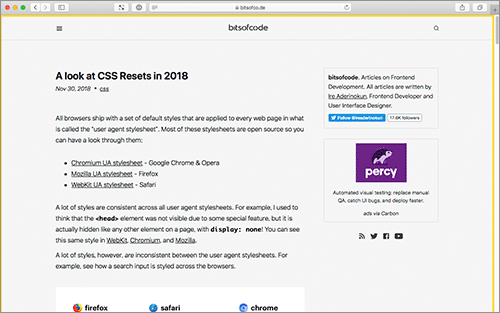 Thinking of writing about CSS resets and how they're used today. Do you use a CSS reset/normaliser? Which one?